Key Verse: Verse 14 – "And Eli said unto her, How long wilt thou be drunken? put away thy wine from thee." Now, we know that Hannah wasn’t drunk. But Eli sure thought she was. Sometimes we think we see something that we really don’t see. We just assume it to be so. Eli was quick to judge Hannah. He mistook a brokenhearted woman for a drunk. What a lesson this should be for us not to jump to hasty conclusions without knowing all the facts. There may be some facts that, if we knew them, would change our attitude from censure to sympathy, from enemy to friend, from criticism to compliment. We may be blind to the motive. Balaam beat his donkey because he misunderstood the donkey’s reason for balking; and when Balaam saw the angel blocking the way, he must have been somewhat embarrassed by his actions. Sometime back I heard the cry of despair from some birds coming from our backyard. I looked out to see that a baby bluejay had fallen out of the nest lodged up the fork of a tree. Deciding I would rescue the baby bluejay, I ran into the backyard, picked up the bluejay, only to be attacked by the baby’s mother. To say the least, she was not happy with me and she let me know it. 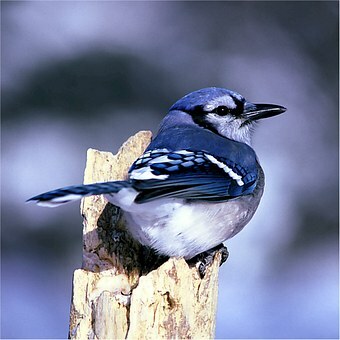 While the mother bluejay had the best of intentions, she attacked because she misunderstood. Before we attack and criticize others, it would be wise that we get all the facts. We may be attacking someone trying to save our child. Don’t jump to conclusions..
You can’t always assume that everything is as it appears to be. ✞ Before you open your mouth, make sure you know of what you speak.